Honda is hailed at providing the best-in-class cars and two-wheelers for a number of years. The Honda Activa raised many eyebrows when it was first announced but it quickly went on to become one of the most popular and successful gearless scooter from the company. Now, Honda has geared up to launch of the new Activa 3G (dubbed for the 3rd Generation). Today, we would look upon this scooter in our Honda Activa 3G Review. 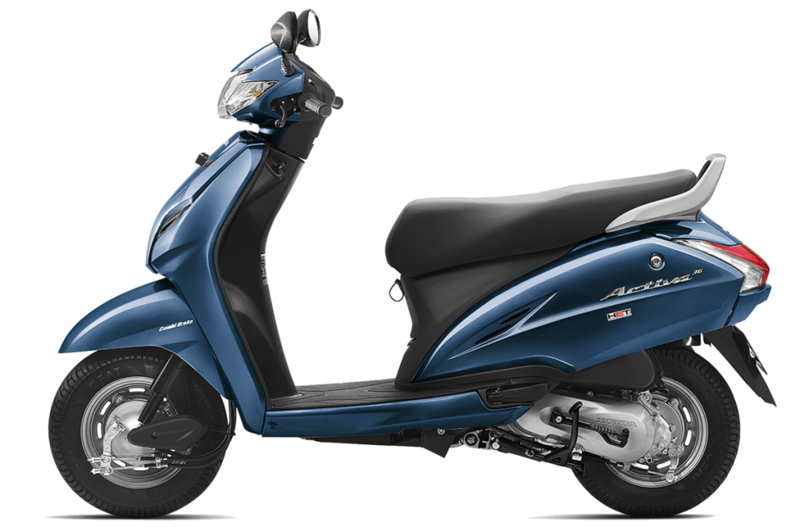 One of the best things Honda did in designing the Activa 3G is that it didn’t changed the design much from the Activa 125. It certainly follows our principle of ‘Don’t fix things which are not broken’. However, little minute changes are done to perfect the previous troublesome items. These include new transparent covers on the indicators and an aerodynamic bulge on the front center panel. The curves are a little more edgy as compared to the previous model and the exhaust sports a squarer look. The rear end of the scooter is shrunk from the bottom which makes the rear tire and exhaust clearly visible. The update from Activa 125 to Activa 3G has provided the instrument cluster with a new background with the diamond-shaped glass clearer than before. The cluster contains the high beam and indicator LEDs and the rest of the console remains analog. The new 3G version finally includes a pilot lamp but the switchgear is similar to the older model. This part of the design disappointed us the most because there are no changes made in the department at all. The Activa 3G has the same ergonomics as the previous model. You might feel that the pillion seat is a bit wider in the new design however the dimensions of the scooter are exactly the same. There is no compromise for the comfort levels for the rider or the pillion. The mirrors, handlebars, switchgear all just feel exactly the same. No Honda Activa 3G review is complete without looking at the scooter’s performance. It uses the same HET engine as the Activa 110. The engine offers you 8Bhp maximum power and a max torque of 8.83Nm. However, the engine in the 3G does feel bit smoothers as compared to previous models because the NVH has been lowered in this model. You could feel less vibes on the handlebar now. The Activa 3G can go from 0-60 kmph in under 10 seconds and has a top speed of just below 85kmph. The mileage is around the 50kmpl mark which is similar to that in previous versions and the motor also uses the same CVT gearbox. Most of the specs in the Activa 3G are the same as before. Riding a gearless scooter is only about acceleration and braking and Activa surely capitalizes on that with good design structures and braking system. The handlebar is positioned perfectly for our liking and the suspension setup also feels softer than the older siblings. You can expect quick and sharp handling from the 3G but you could lose balance while making quick turns. The overall ride quality is still maintained by Honda as Activa is solely focused upon the mass commuter segment. We miss the presence of telescopic front suspension which is being regularly omitted from the very first model. The combi-brakes are still the same as before and so it the system of drum brakes. The brake system, despite not being updated from the previous models, still works decently well. There are no updates to the Activa 3G at least in the hardware departments. All the minor tweaks that are made are done in the design part. 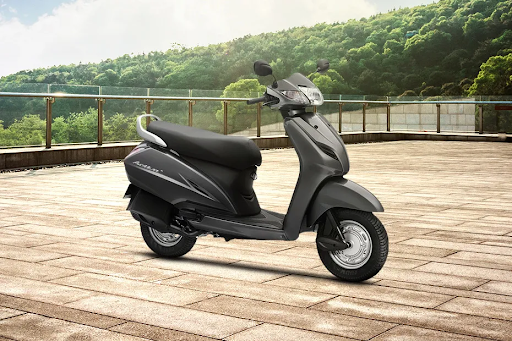 With a number of competitors present in the gearless scooter market, Activa 3G is missing out on a number of customers because of the absence of a number of important details and not upgrading anything from the previous model. 3G feels just the same as the Activa 125 and there isn’t much upgraded in the newer version. Hope, we would have solved your problem of buying the scooter in our Honda Activa 3G review.